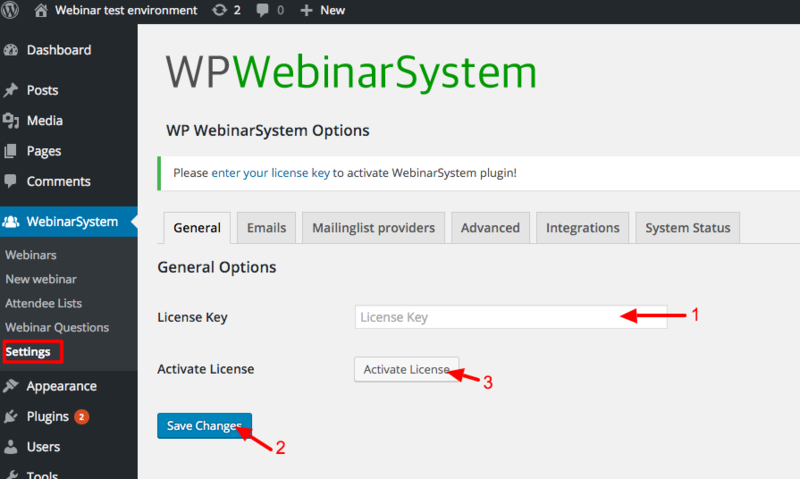 If you have the free Lite version of WP WebinarSystem installed, make sure to deactivate this version before you activate the Pro version of WP WebinarSystem. You won't lose any settings or content when deactivating/deleting the lite version. They are stored in your database and the Pro version is using the same database tables. From within your WordPress website, go to the “plugins” menu. Click on “add new”, and you will be taken to an overview of the WordPress plugin directory. Search for the .zip file of WP WebinarSystem on your computer and select it. Use the password which you have created during checkout. If you don’t know your password anymore, then click on ‘Lost Password?’ to generate a new one. You will find your license key on this page on the left bottom. If you want to download the latest version of the plugin, you can find a link to it on the top of the page when clicking on 'View Details and Downloads'. Are you experiencing problems activating your license key and did you bought this license before March 21, 2016? Then please read this blog about our new licensing software, and where to obtain your new license key.